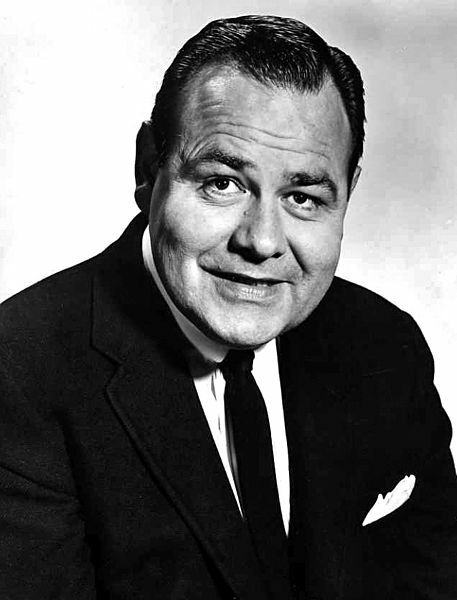 A tough week in the world of entertainment, you can add Jonathan Winters to the list who has passed on. He was a comedic improvisational genius, who influenced scores of comics, such as Robin Williams, Johnny Carson, Jim Carrey, and Billy Crystal. He’s best known for his role as the dim-witted Pike, the truck driver in It’s a Mad Mad Mad Mad World, and the son of Williams on Mork and Mindy. Despite suffering a nervous breakdown in 1960, he used the painful experience in his comedy routines, most notably on his The Wonderful World of Jonathan Winters record album. He became a favorite of late night television, becoming a frequent guest of Jack Paar and Johnny Carson. In fact, Carson’s Aunt Blabby was inspired by Maude Frickert, a character created by Winters. His comedy worked to perfection when invited to sit on The Hollywood Squares, and as a panelist in the Dean Martin Celebrity Roasts. Winters appeared in film, including The Russians are Coming, The Russians are Coming, Viva Max, The Flinstones, The Shadow, and The Surfs. He was memorable on an episode of The Twilight Zone. He won an Emmy playing Randy Quaid’s dad in Davis Rules in 1991. He was nominated again in 2003 as outstanding guest actor in a comedy series for an appearance on Life With Bonnie. He also won two Grammys: One for his work on The Little Prince LP in 1975, and another for his Crank Calls comedy album in 1996. He additionally won the Kennedy Center’s second Mark Twain Prize for Humor in 1999, a year after Richard Pryor. While show business kept Winters busy, the former art school student was also a painter and writer. Among his work is a collection of short stories called Winters’ Tales, published in 1987. Content with overcoming the demons he battled decades ago, he died peacefully of natural causes. This entry was posted on Friday, April 12th, 2013 at 12:57 pm	and is filed under Blog by Manny Pacheco. You can follow any comments to this post through the RSS 2.0 feed. Responses are currently closed, but you can trackback from your own site.